It's beach season! But that also means it's snake season. 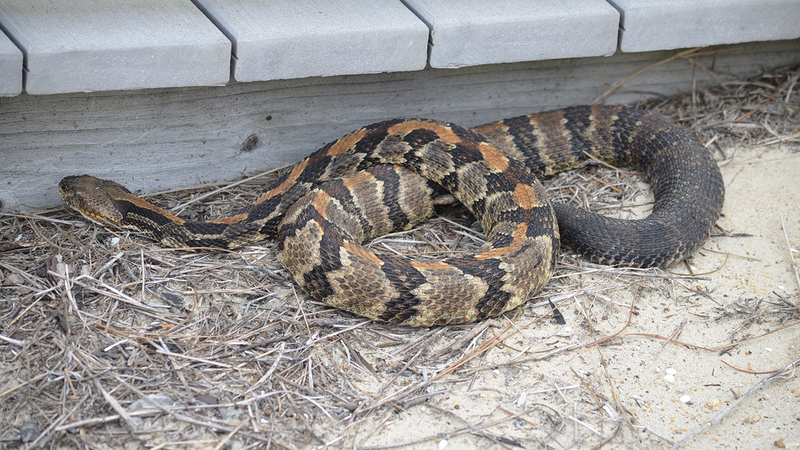 According to Cape Hatteras National Seashore officials, a rattlesnake was spotted recently outside a park staff building near the entrance to the Bodie Island Light Station at the Outer Banks. Rattlesnakes are generally not aggressive but they do strike when threatened or provoked. Most snake encounters occur between the months of April and October when snakes and humans are most active outdoors.